* Cool perk: Sales department closes at 7 p.m.
* General Manager Kevin Steele on recruiting college graduates: "One of our initiatives this year was look at our entry-level wages, and in many cases, we increased those wages 20 to 30 percent in order to expand our attraction to college graduates." * Steele on change in response to staff requests: "Some employees mentioned in an internal survey that they would like to be eligible for the Mercedes-Benz Master Lease Program. 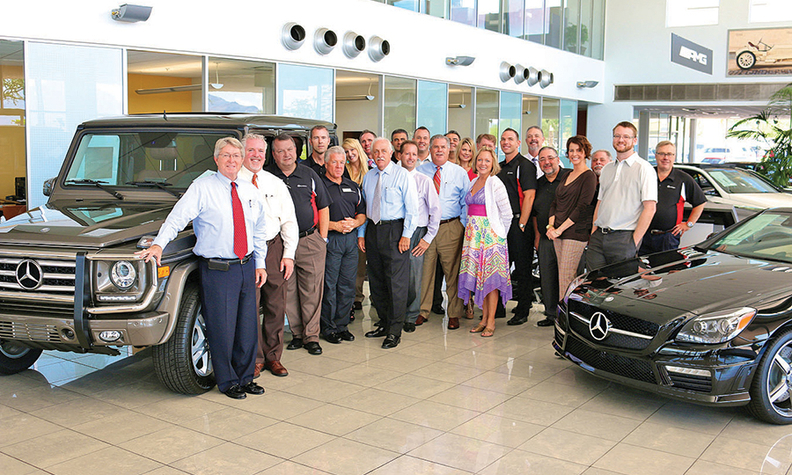 This was not a program the dealership participated in for various reasons, however, it was important to our employees to be able to take advantage of lease offers through Mercedes-Benz with this program if they become master certified. So we now pay a certain amount monthly toward lease payments of certain cars in our fleet so our employees can participate in this program."